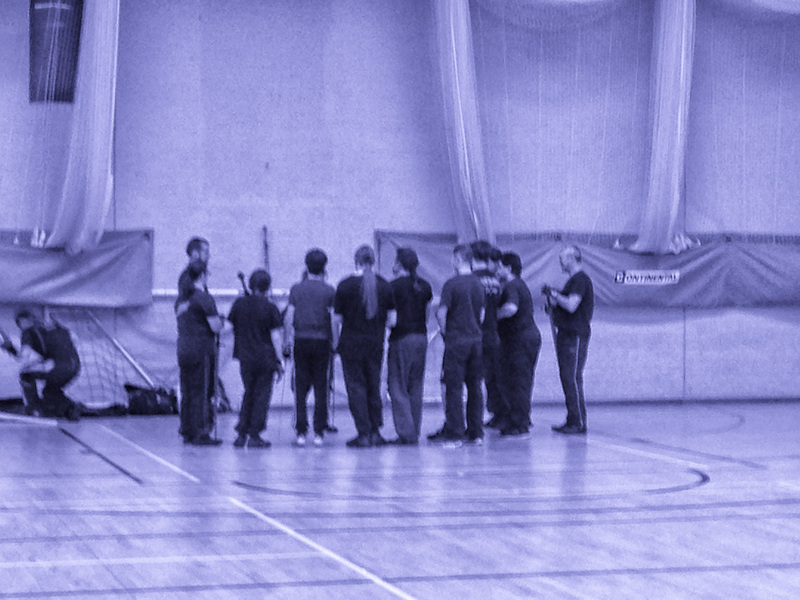 Despite five people being unable to make training we still had a packed class of twenty-two! 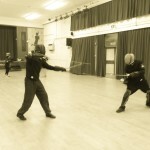 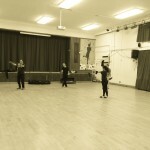 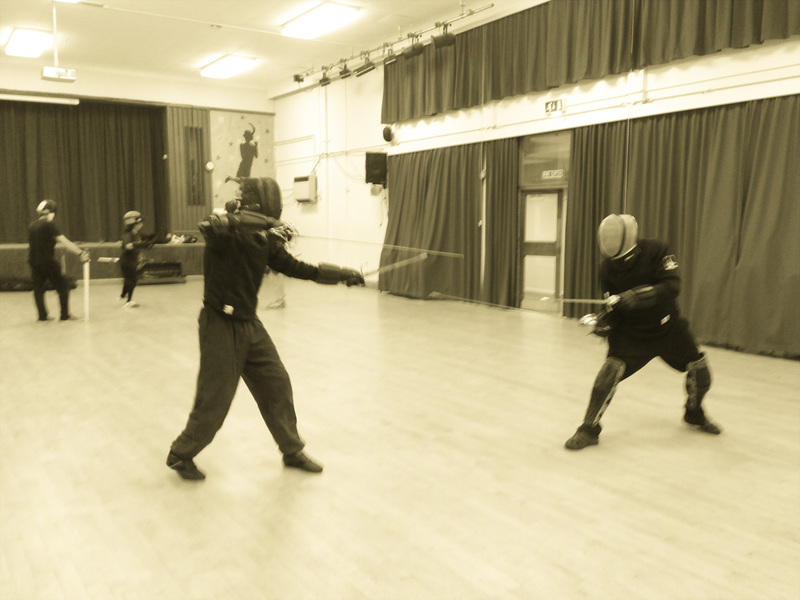 The beginners group worked hard on the guards for sword & buckler whilst the seniors continued work with rapier & dagger. 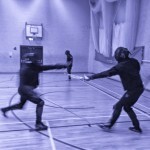 Congratulations to Pete and James for being the latest members to pass their safety test. 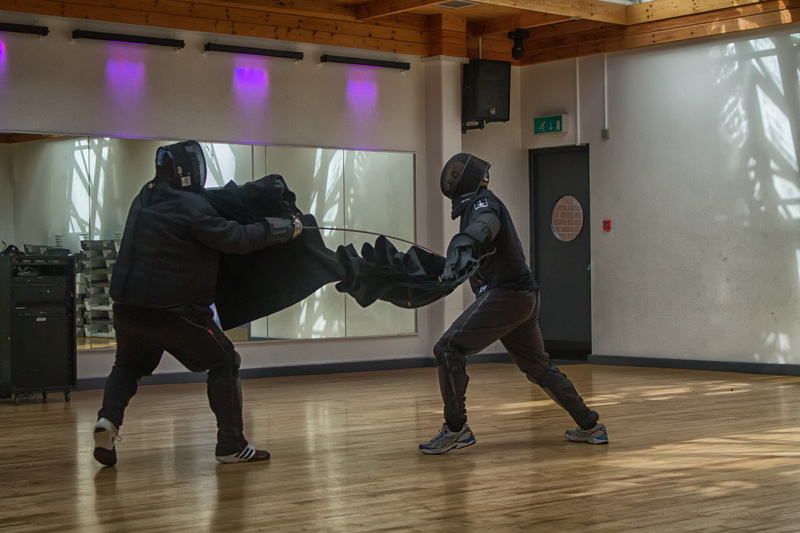 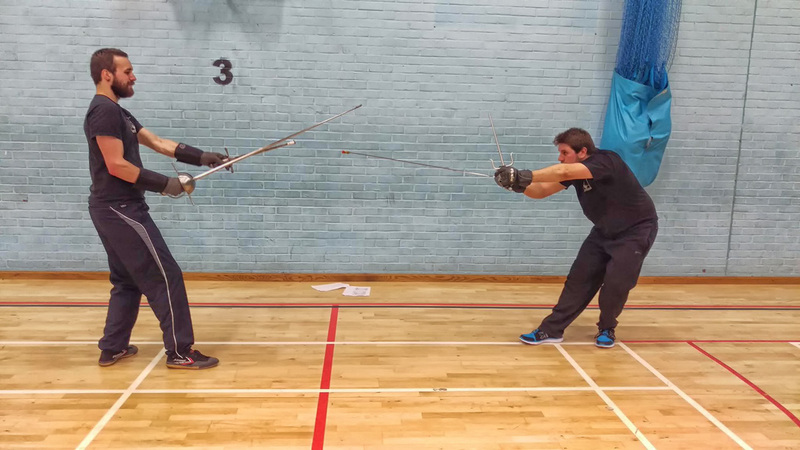 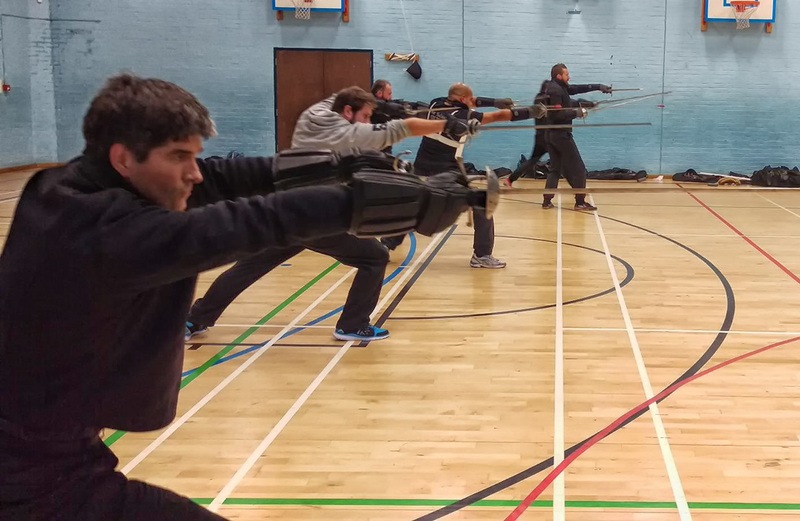 Some brilliant work in the beginners sidesword and buckler group. 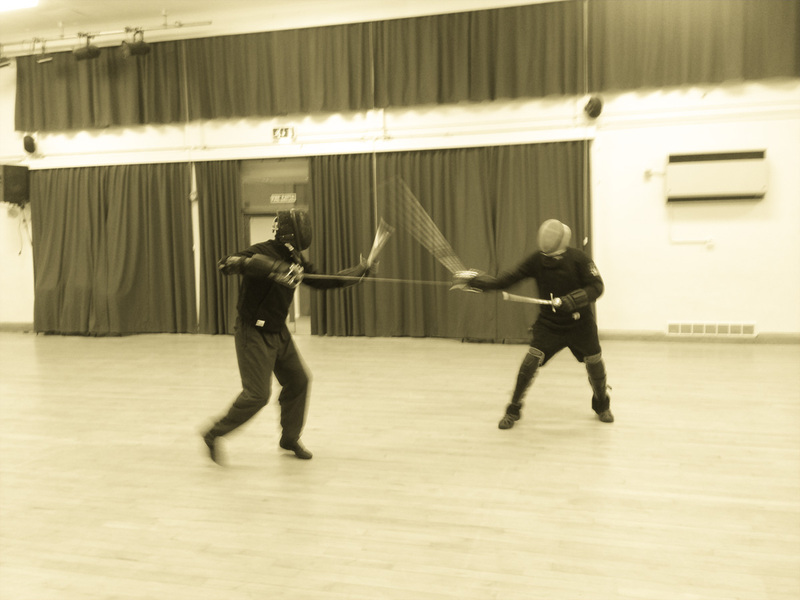 The seniors worked on rapier and dagger principles. 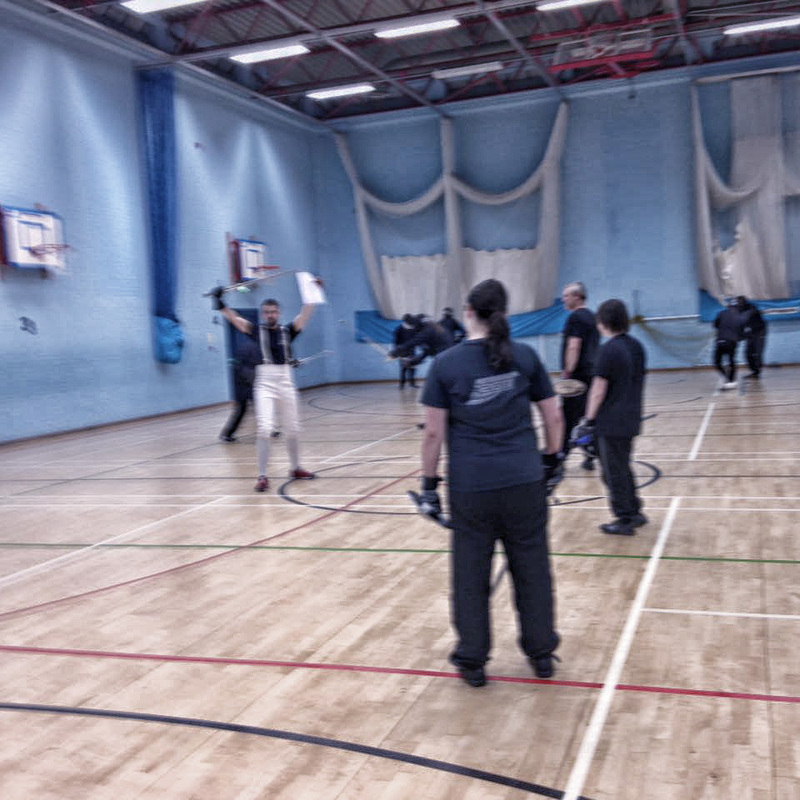 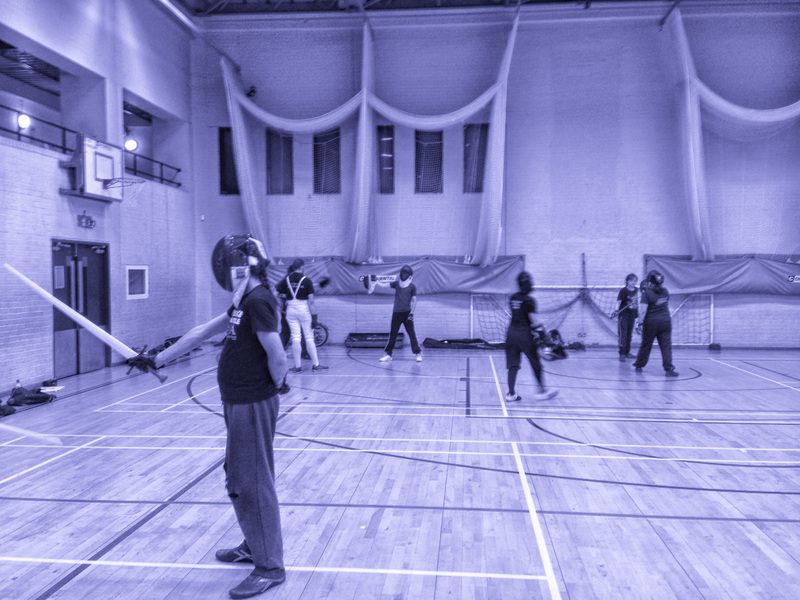 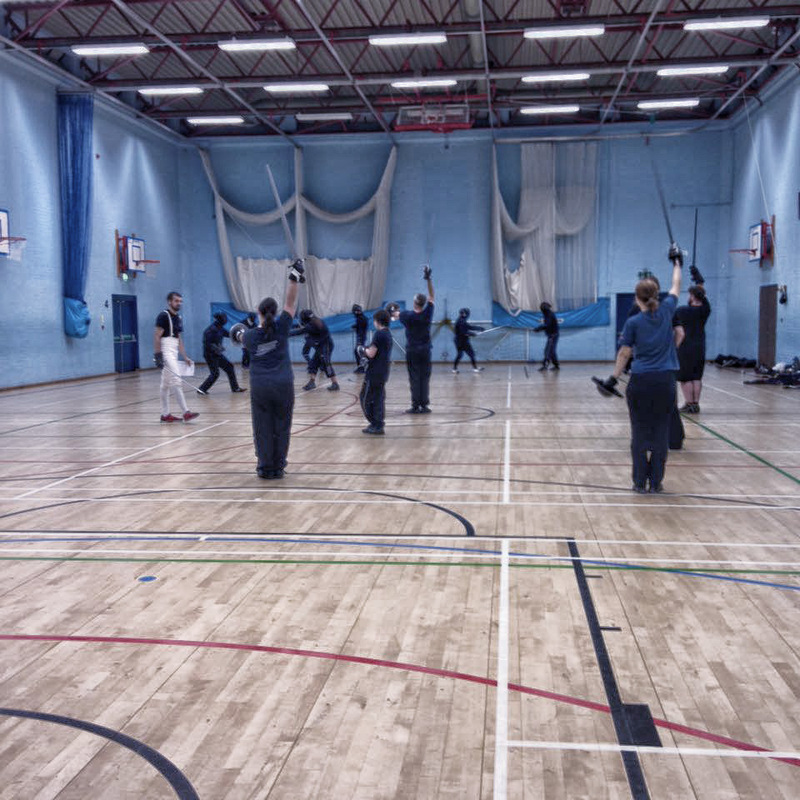 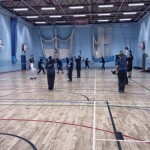 Students from both Godalming and Reading joined up recently for our monthly sparring session. 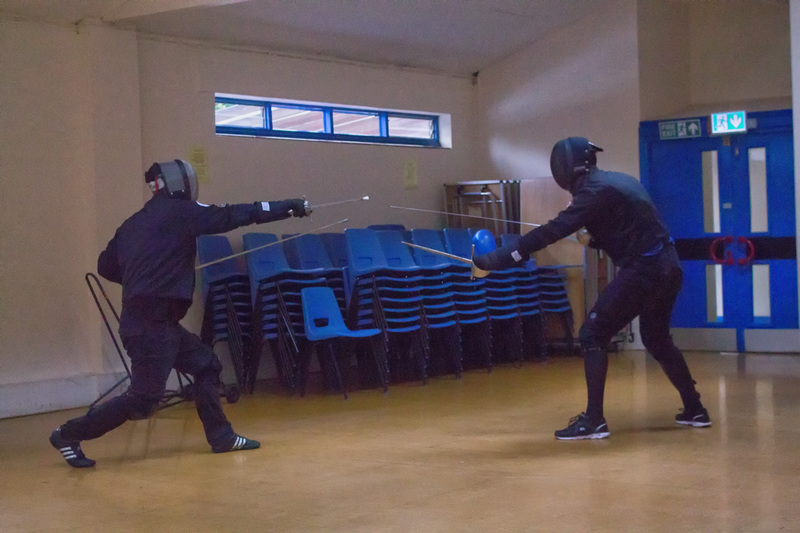 We were also joined by friends from other schools for a couple of hours of intense sparring across a number of disciplines. 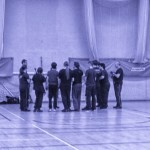 The AltReading website has written a nice piece about our Reading group, with quotes from our instructor, Fran. 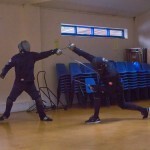 Both seniors and the beginners group found they shared things in common tonight. 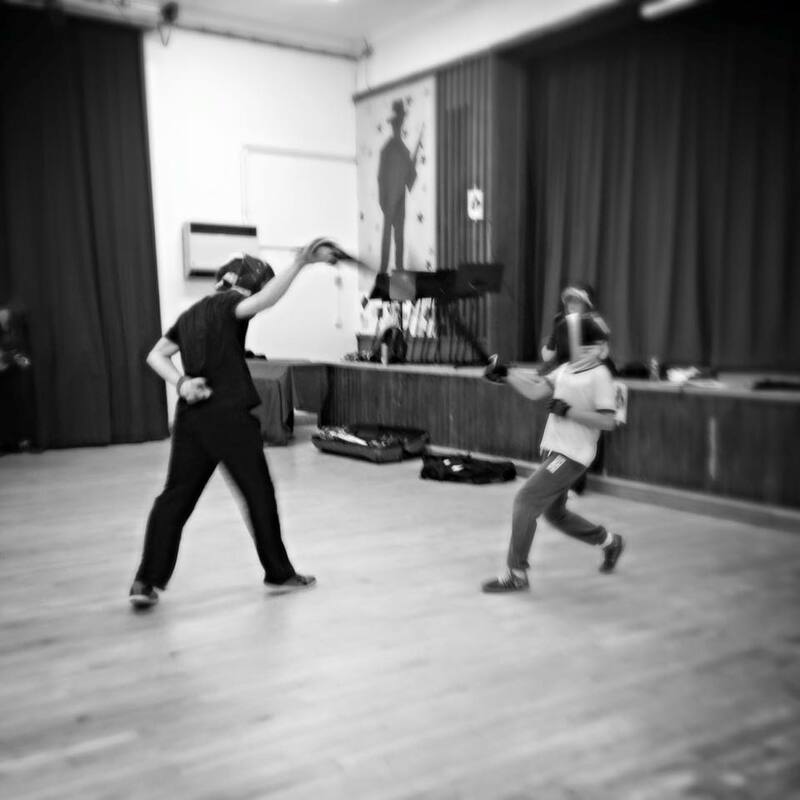 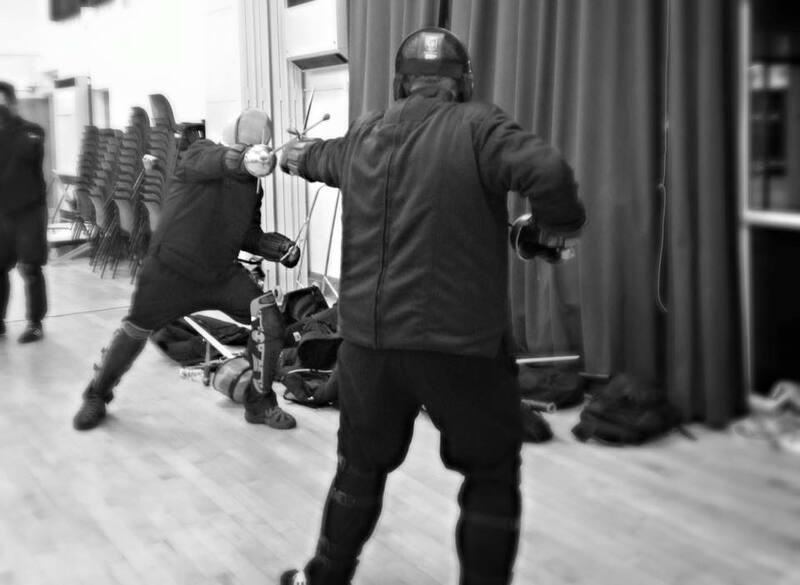 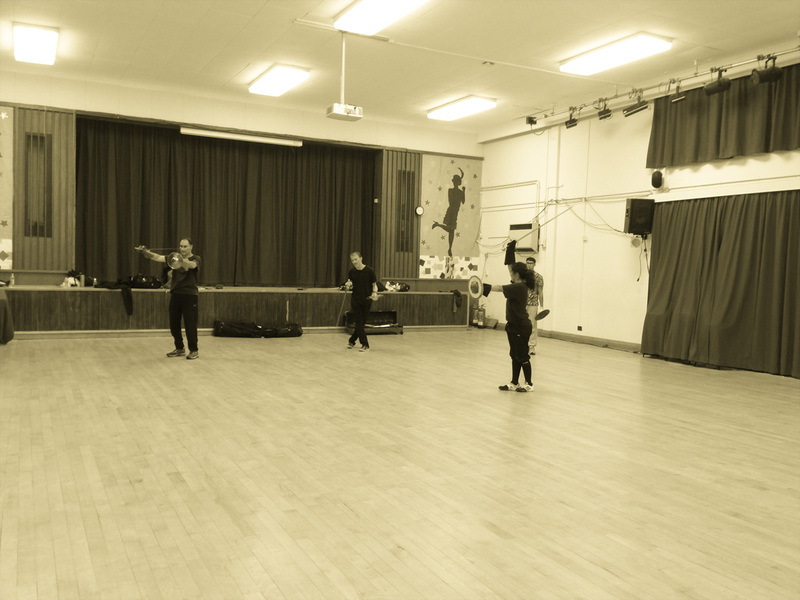 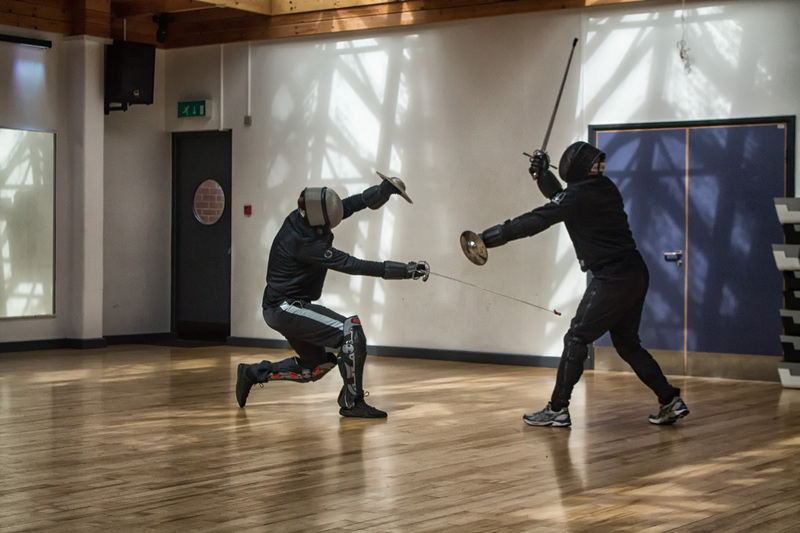 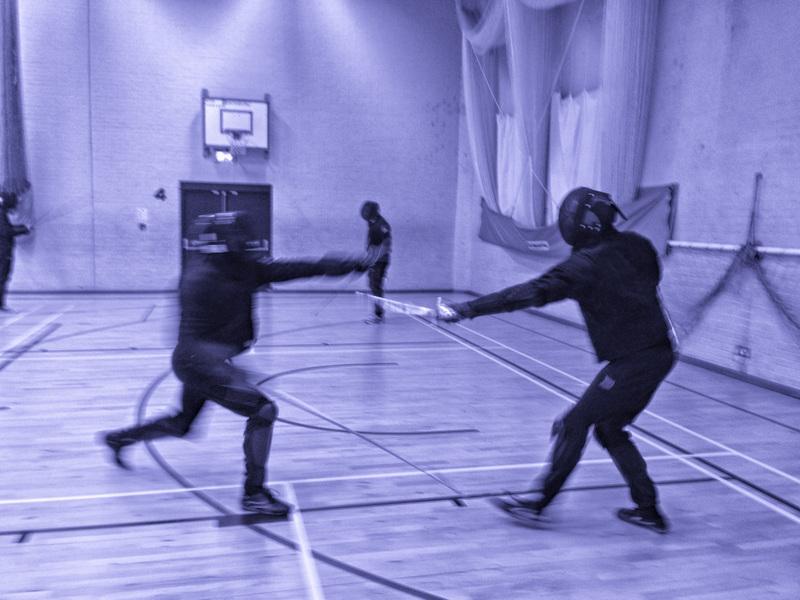 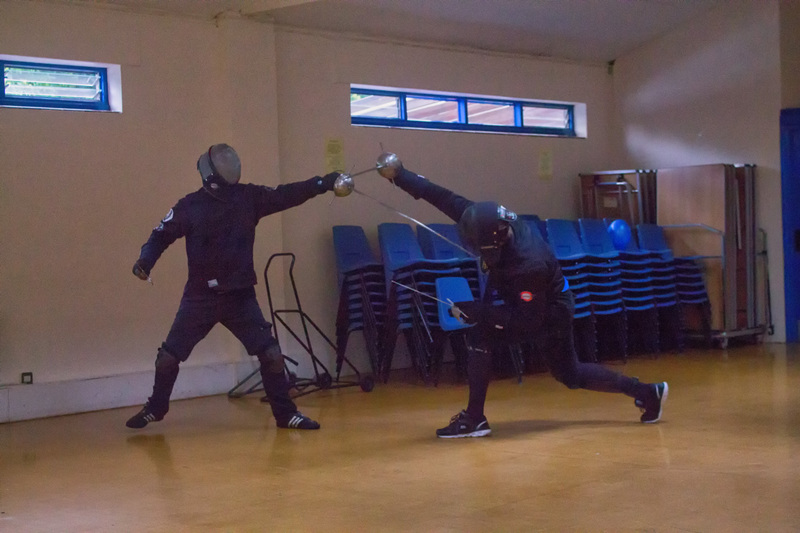 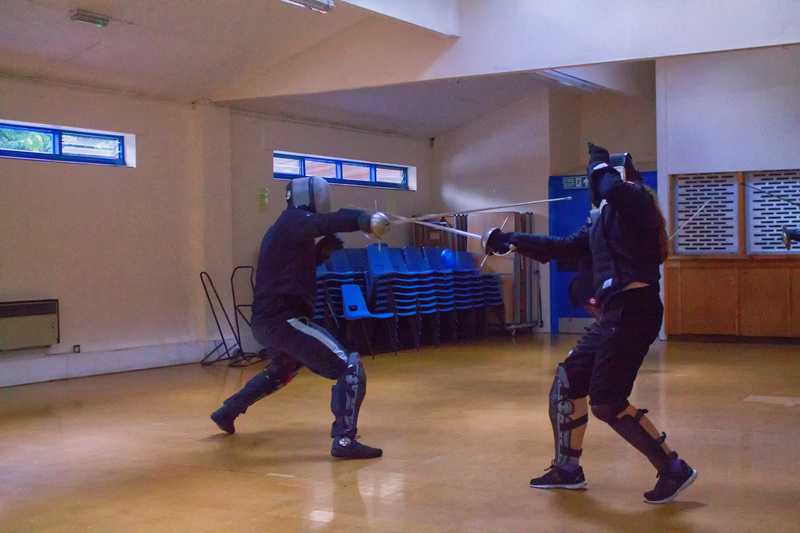 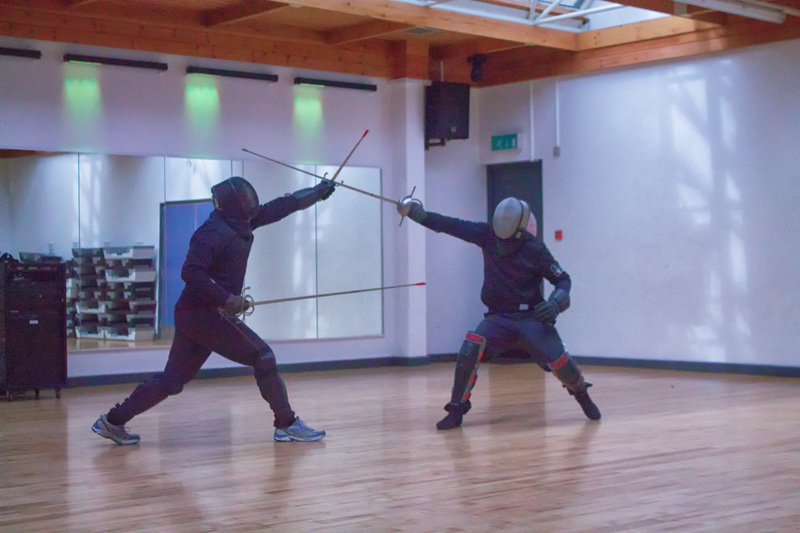 Whilst the beginners group were working on sword & buckler and perfecting the form, the seniors continued their work on learning rapier & dagger. 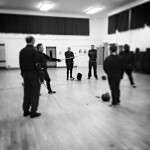 However, when we all came together for the final circle debrief at the end of the lesson both seniors and beginners said they needed to improve on stopping their hands from drifting apart. 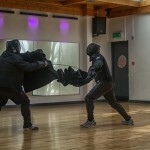 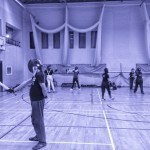 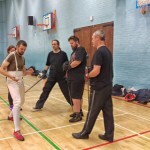 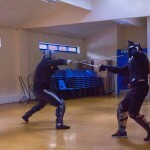 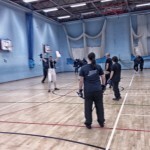 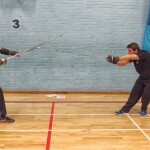 At our recent sparring session on 13th September, we took some video. 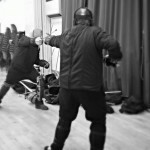 We’ve edited this into a quick video showing us in action across a range of disciplines. 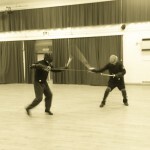 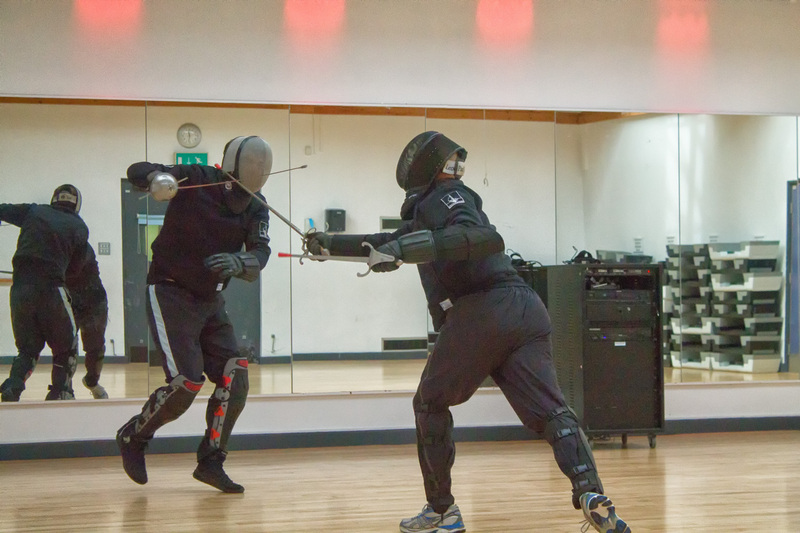 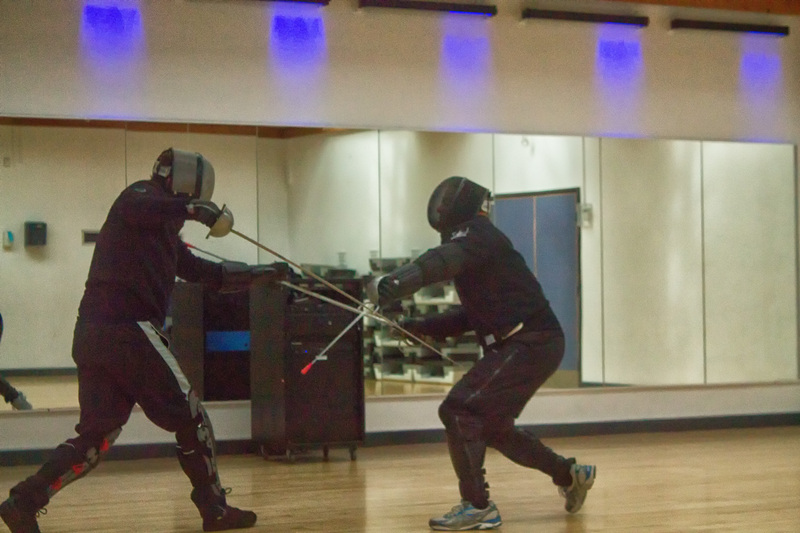 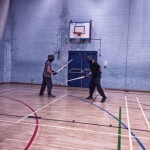 Sparring sessions are good opportunities to try techniques we’ve learned in lessons and put them into practise. 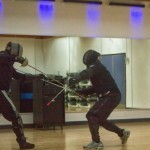 Even though we are fighting each other, you’ll notice we give each other a lot of feedback to help us improve. 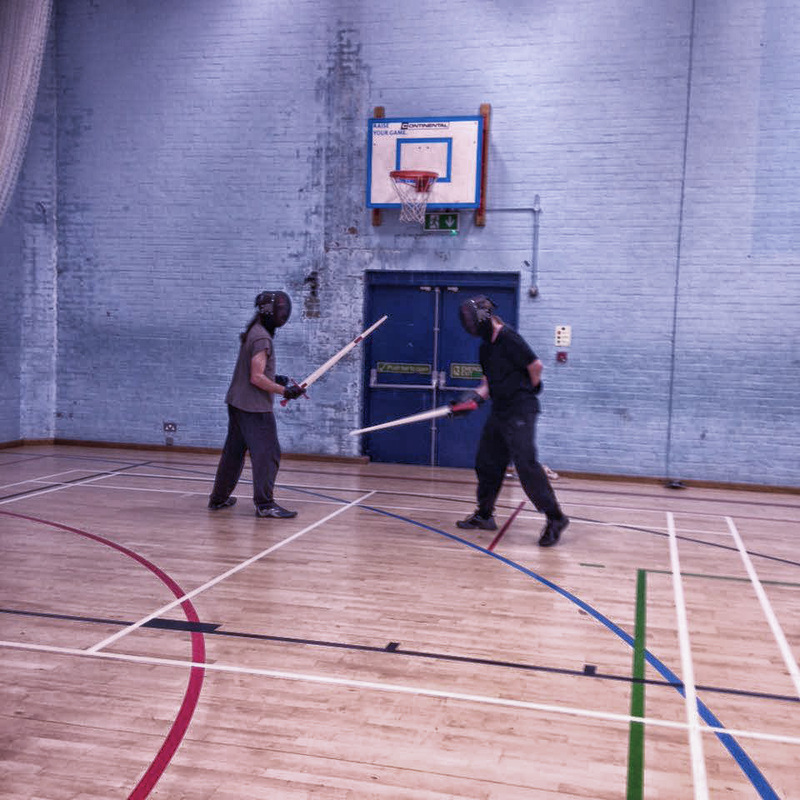 Sparring sessions are open to our students who have passed their safety test. 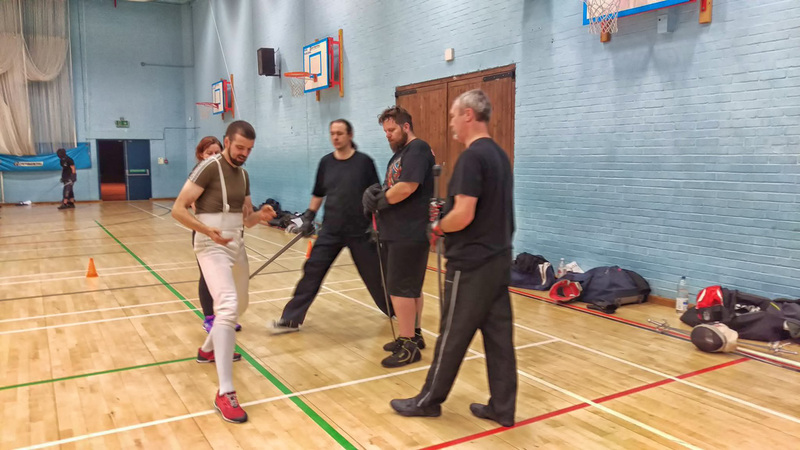 Busy training session with a number of new starters in our beginners group where they worked through cuts and guards for sword & buckler. 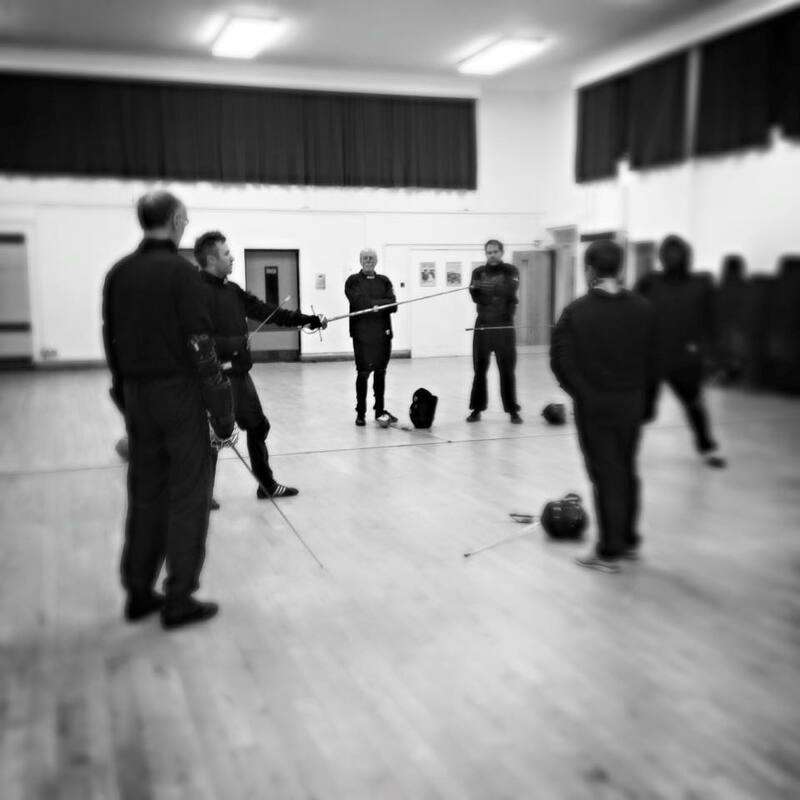 The senior group started work on rapier & dagger with a number of exercises and drills to become acquainted with the weapon combination. 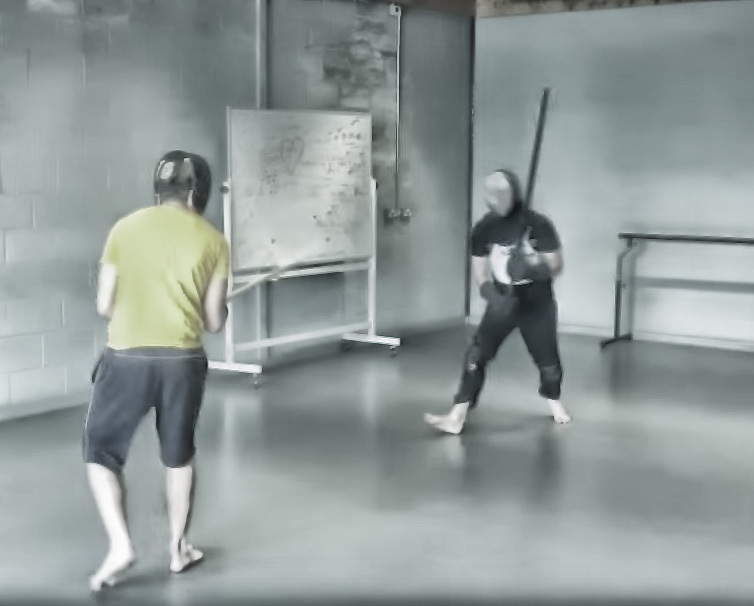 What better way to spend an otherwise boring weekend than by stabbing your friends in the face with a sword. 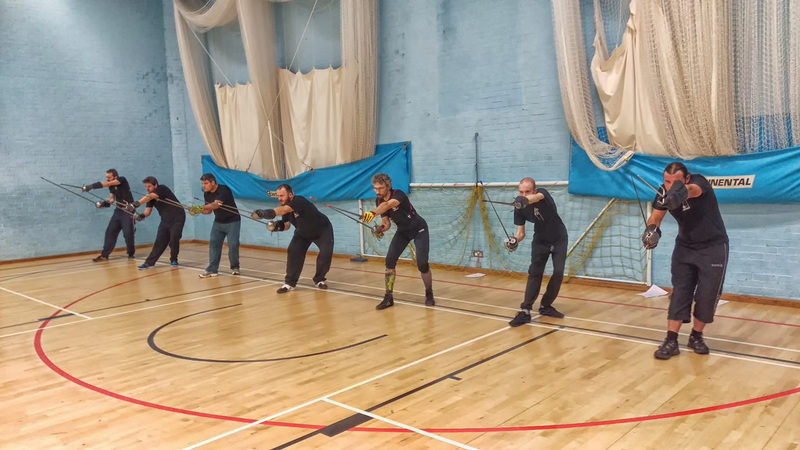 That’s exactly what a few of our Reading senior students did, using the time to get in some extra practise with a multitude of weapons. 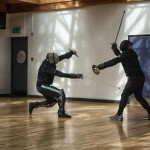 The WFMA has posted a video of our visit to them from last month.